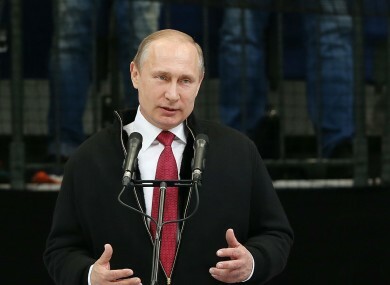 WORLD ANTI-DOPING AGENCY (Wada) president Craig Reedie said Vladimir Putin’s admission that Russia’s anti-doping system has failed is an “important step in the right direction”. Russia president Putin today denied that Russia has ever had a state-sponsored doping programme, which was the verdict of the McLaren investigation. But Putin did state that Russia must heed the demands of the McLaren report, with a new anti-doping system being created as the European nation strives to be deemed compliant once again. Reedie said: “Wada is encouraged by this sign of progress from the highest political levels in Russia today. “Since November 2015 [when Russia was deemed non-compliant], the Agency, UK Anti-Doping and others have been working hard in supporting Russia’s efforts to rebuild a credible anti-doping system. Olivier Niggli, the Wada director general, said: “In November 2015, Wada established a ‘Roadmap’ to return the Russian National Anti-Doping Agency (Rusada) to compliance with the World Anti-Doping Code. “Effectively, Rusada must demonstrate that its processes are truly autonomous, independent from outside interference and properly resourced for the task of protecting clean athletes both in Russia and abroad. Email “Wada welcomes Putin's comments on Russia anti-doping system ”. Feedback on “Wada welcomes Putin's comments on Russia anti-doping system ”.